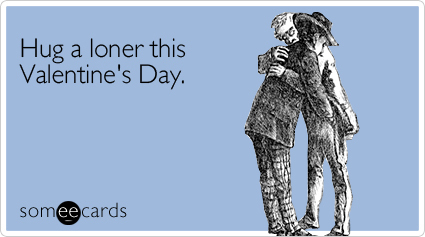 Valentine’s Day is a constant lightening rod for anger and off-handed dismissal and rudimentary mockery. 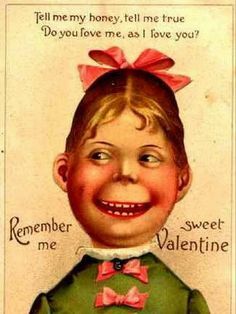 I’ve heard all of the arguments about the evils of Valentine’s Day, and, quite frankly, none of them are valid, and worse, they’re all boring and trite. 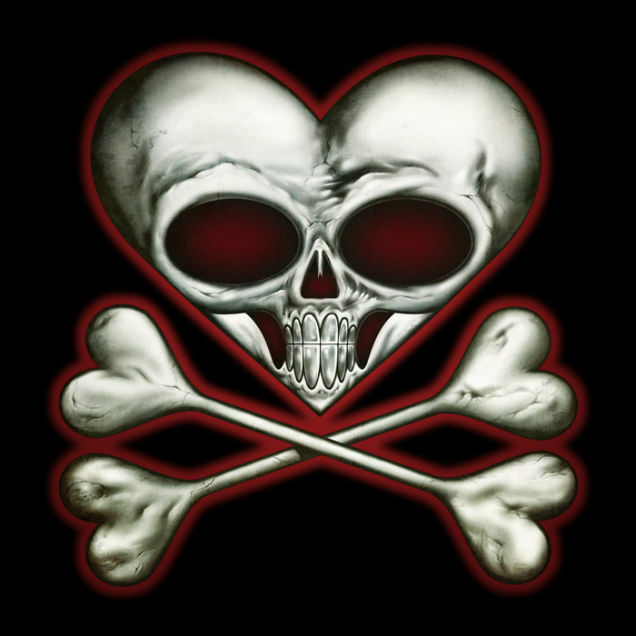 I am not the defender of Valentine’s Day, but I’ve put myself in the unenviable position of trying to convince others to not be a jerk, and just relax and have fun. You are not expected to love anyone right away. “It’s a corporate holiday made up by corporations to sell corporate things!” So? You know you’re not obligated to actually buy things for your loved one on Valentine’s Day, right? You could exchange hand made cards, or even a simple piece of paper with an honest expression of your love for your partner (only, please, don’t use the word “lover”, that’s just gross). Also, sorry that it’s a day where you have to think about expressing genuine emotion to someone else, I know that’s painful, try drugs…on yourself, don’t be a creep. “I’m alone and thus, bitter about the coupled who dare celebrate their coupling!” So? Shut up, you sad recluse. I don’t celebrate Yom Kippur but I’m not anti-Semitic. I don’t care about Thursday, but I’m not vitriolic against the Norse religion (look it up). If you’re single, alone, left with nothing but lifeless sexual tools or your cold, dry hand, no one is telling you you’re a bad person incapable of love on Valentine’s Day. Just ignore it. Gather your cats in a candlelit room, fire up Netflix (not an ad) and pour yourself a comically large fishbowl of wine. No one is saying it’s sad. You’re lashing out because you are self-conscious. Just as the coupled don’t have to go out and spend exorbitant amounts at a restaurant, the single don’t have to do anything out of the norm, it’s just a normal Saturday. “I don’t need a special holiday to express my love to my loved one.” What do you want, some applause, your own holiday? Let’s assume that’s true. Then, by your own admission, you write down the pure expression of your emotions created by and for your loved one every day. Oh, you don’t divulge every inch, every piece of the heart-of-the-hurricane, clarified expression of emotion you feel for the person you claim to love, every day? No? So that was a hyperbolic exaggeration of how you interact with your loved one? If you’re going to lie to me, a stranger, about your love life, maybe you need a day to honestly express your love to your loved one. “My children were murdered on Valentine’s Day.” I–uh–That’s–Well, uh–You realize that’s not the fault of the day, right? If a horrible thing happened on a random Thursday, would you hate all Thursdays? “I just started dating this person.” Go for modest flowers and offer to cook a meal for the person and offer to be the first to stuff your own insecurity. “I would break up with this person but…” Your fear of dying alone shouldn’t force you to stay in a desperate situation. It’s like you’re holding your own life hostage. That’s on you. “Society is trying to make me feel bad.” Society is trying to make you feel bad for a hundred things, and trying to create insecurities unrelated to your temporary state of being single. Maybe just hug people more often in general. Hugs are great. “My significant other expects a grand overture of love in the form of a grotesque expenditure of money.” Again, that’s on you. You knew you were dating a gold digger. Find someone who’s not fixated on opulence. Turns out, anyone who actively hates Valentine’s Day, is missing the point. You are empowered. You, yes, you, are empowered. You don’t have to pay attention to every holiday because you already don’t. And getting in touch with the emotion your significant other invokes in you is inspiring and exciting and a spiritual experience. Have fun, don’t over-think it. Happy Valentine’s Day. Loved your thoughts on the non-Valentiners. You have a great Valentine’s Day as well. I’ll be spoiled with flowers and dinner, and he won’t think twice about how much he spent. Really just a sweet card would suffice. It’s like how my employer makes me stay home on Martin Luther King Day. The nerve! I don’t want a day of relaxation that is theoretically in celebration of a black guy. That’s what President’s Day is for, isn’t it? I laughed so hard all the way through this post that I should send you money in appreciation for the entertainment! I won’t, of course, but I should. OMG!! AAAHAHAHAaahahaahahahaaaaa! That was great! My favorite motto is on the bottom of today’s blog. Willy Dunne Wooters isn’t into holidays. The first year we were together, I thought he would change. Then I got to know him better and realized he’s not ready for change and might not ever be ready. I love him for the person he is: generous every day, not just on holidays, practical giver, lover. I think something in his past keeps him from enjoying holidays. Celebrating Calm Christmas with me is now okay with him. Ugh, yuck, I may like Valentines Day but the word “lover” is gross. Yuck-o. “Sexer” or “humper” or even “partner” anything else. Well, Dear Pickleope Von Pickleope, I’m glad you like the day. I still hate it. I still like you, though. We’ll leave it at that. Have a happy Saturday with your loved one(s). PS Check out great chocolate sales on Sunday, too. Though your article is a good read, your argument is arbitrarily focused on the advertising around Valentines Day. All advertising is focused on making people who haven’t bought the product feel bad so that they buy the product. It’s not exclusive to Valentines Day. A nice try, but anti-Valentines Day people have yet to present a solid argument. Perhaps you’re right – In principle, historically speaking, Valentine’s day’s roots are noble and appeal to our more noble emotions. However, I still believe the day has been warped and remains a disfigured form of its origins – mainly due to the avarice of marketers and advertisers as you correctly pointed out. In this respect Christmas or Iftaar during Ramadan are little different. Thanks for the feedback. I completely disagree. Christmas is all marketing. So much so that Jesus has been supplanted by the worship of a the god of possessions, Santa, so how can you say it’s different? Also, what about engagements? Marketing has been so pervasive in that, that the man specifically is expected to spend two months worth of his pay on a ring. Yet still, Valentine’s is arbitrarily singled out? Okay. People are masters of their own destiny, if they want to allow a holiday of love to be distorted by marketing, that’s on them, but I’d like to have a little more faith, particularly in women. Sorry, you seem to have misunderstood my comment – I am basically agreeing with what you replied – in England when we say there is ‘little difference’ it means that the situations are practically identical – I fully agree that Christmas, and pretty much all holidays have suffered the same fate in terms of the distortion of their roots and original meaning. Oh, I think it is I who ought to apologize. See, I read it as “A little different” I missed that there wasn’t an “a” in there. An excellent post. You don’t see enough of people taking a stand in the War on Valentine’s Day. Truly it is a noble religious holiday to remember the saint who was beaten, beheaded, and hastily buried in the 3rd century by exchanging gifts of chocolate and flowers with people you would like to sleep with. I really enjoyed Valentine’s Day this year. Just me, another bear, a rabbit, and three Raggedy Anns. Loads of fun. Flowers go on sale Monday – candy on Wednesday.. great year! This is so hilariously true and we could not agree with you more. I love being a married guy and having single acquaintances act like this is the one day of the year it’s “me vs them.” You know, because I have a wife and choose to spend the day doing something idiotically simple like cooking a new recipe that that somehow is a reminder of their failures as a single person and is of course the fault of both myself and the holiday for existing.